BlackHawk Janitorial Services LLC will devise a program that will keep your floors sparkling all year long. Our expert floor stripping technicians can complete the job in a timely and thorough manner. You'll have no down time or inconvenience, as we'll complete the job around your schedule and hours of operation. Need a weekend or overnight stripping and waxing? No problem. 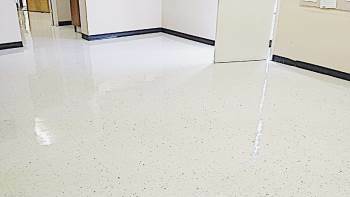 BlackHawk Janitorial Services LLC is the Floor Stripping and floor finishing company office managers have trusted for years! You can have BlackHawk Janitorial Services LLC provide regular floor cleaning to vacuum and mop the floors regularly to keep them clean. We don't cut corners, we SHINE them! CALL BlackHawk Janitorial Services LLC today to schedule your floor stripping and waxing appointment!